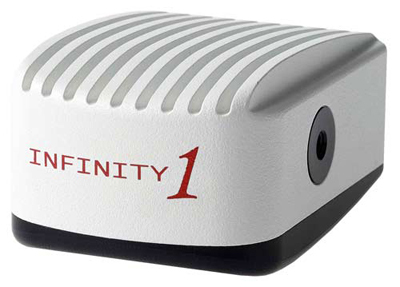 The Lumenera INFINITY 1-3C features a 3.1 MegaPixel Color scientific grade CMOS sensor to provide a cost effective and versatile solution for documenting and archiving microscope images. It is best suited for applications with moderate to high levels of available light (e.g. – Brightfield, reflected and transmitted microscopy). All models come with the basic Infinity CAPTURE and advanced Infinity ANALYZE image analysis software packages. We also offer more application specific advanced software packages. PC and MAC compatible.